The Illustrated Dictionary of Nonlinear Dynamics and Chaos | Free eBooks Download - EBOOKEE! Posted on 2018-09-27, by nokia241186. The study of nonlinear dynamics is one of the most active fields in modern science. It reaches across the whole range of scientific study, and is applied in fields as diverse as physics, engineering, biology, economics and medicine. However, the mathematical language used to describe nonlinear dynamics, and the proliferation of new terminology, can make the use of nonlinear dynamics a daunting task to the non-specialist. In addition,the simultaneous growth in the use of nonlinear dynamics across different fields, and the cross-fertilization of ideas from different disciplines, mean that names and methods used and developed in one field may be altered when ?re-discovered? in a different context, making understanding the literature a difficult and time-consuming task. The Illustrated Dictionary of Nonlinear Dynamics and Chaos addresses these problems. It presents, in an alphabetical format, the key terms, theorems and equations which arise in the study of nonlinear dynamics. New mathematical ideas are described and explained with examples and, where appropriate, illustrations are included to aid clarification and understanding. For some entries, the descriptions are self-contained, but should more detail be required, references are included for further reading. Where alternative terms are used for a single concept, an entry is placed under the name in most common usage, with cross-references given under other names. 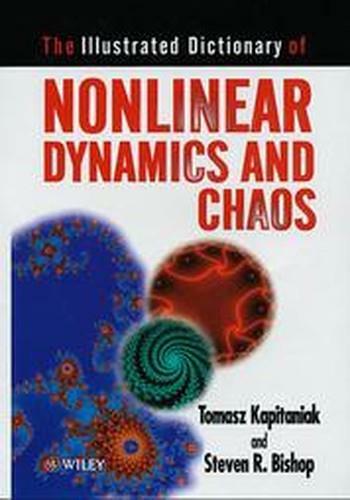 The Illustrated Dictionary of Nonlinear Dynamics and Chaos is an invaluable reference source for all those who use nonlinear dynamics in their research, whether they are newcomers to the field who need help to understand the literature, or more experienced researchers who need a concise and handy reference. 2017-10-25[PDF] Nonlinear Dynamics and Chaos: Where do we go from here? No comments for "The Illustrated Dictionary of Nonlinear Dynamics and Chaos".